Debra Benton's speaking style is always clear and direct — engaging, entertaining and interactive with the audience. She uses examples, relevant stories, and appropriate humor to dissect, decode, and divulge information garnered from thirty years as one of the nation's top C-suite coaches. Audiences listen, process information, and translate what they learn into positive results. When you hire Benton to present at your event, she'll personally interview you and your contacts well in advance. After learning about your organization's goals, challenges and culture, she'll weave her findings into a customized-to-the-situation presentation. Benton creates a program that accomplishes what you want to accomplish. She can present a keynote speech with information that can be followed up with more in-depth training and development. 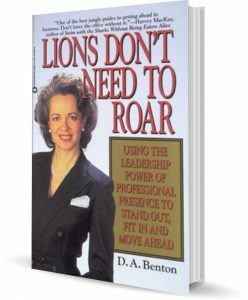 Benton can also moderate a panel of executives, or engage with a single executive "interview" style on stage. 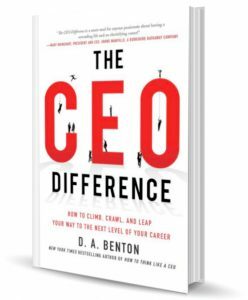 Benton's presentations are perfect for managers and emerging leaders who want to improve overall performance of themselves and their organizations. Exceeds expectations is the highest ranking of most companies performance appraisals. So how do you consistently go beyond meeting expectations to exceeding? You have to stand out from the crowd. You have to get decision makers to talk about you. It's about doing typical things in atypical ways. It's about doing things that add organizational value — without being asked. Professional success requires more than capability alone: You may have superior judgment. You may have great ideas. You may have years of excellent education and the degrees to prove it. But if your professional presence — your individual style and comportment — does not make a positive impact on your peers, superiors, subordinates, and clients you may never really succeed in your field. The number one issue CEOs deal with, according to a recent Harvard Business Review study, is managing conflict. You are promotion material if you manage problems through resolution without being, bossy, heavy handed, arrogant, political, or secretive. How to get a "yes" and be able to say "no"
To climb the corporate ladder, you need to be more than just skilled and knowledgeable about your business you need to be coachable — and be able to effectively coach others. Being a star performer isn't sufficient; you have to make star performers out of others by the coaching and mentoring you provide. Break through your personal glass ceiling and earn that six-figure income — and more! For many of us, it seems out of reach. But you can dramatically boost your earning power if change your fundamental attitude. Benton presents a can-do plan that not only helps you change your whole approach to making money, more importantly, helps you make new choices that lead to a happier more successful life. Blogging, tweeting, commenting, tagging, e-mailing, texting, video chatting — everywhere you turn these days, there's a new way to communicate. Whether you're a c-suite executive or mid-level manager, you have to be able to move seamlessly among the available digital platforms in order to communicate your message effectively. If you don't face it head-on, the future will be a time of chaos and lost opportunities. 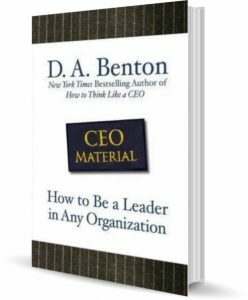 "Benton presents a wonderfully personal, step-by-step guide to being a truly caring leader with integrity, confidence, and drive." "Put simply, she is easy to watch and listen to. Her presence makes the audience feel a profound connection. She doesn't so much lecture as confide her secrets." 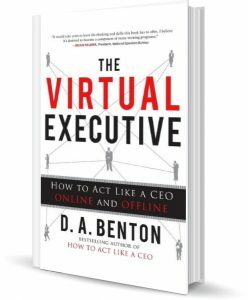 — Heidi Olinger, CEO, Pretty Brainy, Inc.
"With Benton, it's a lot like having the other team's playbook a week before the Super Bowl." 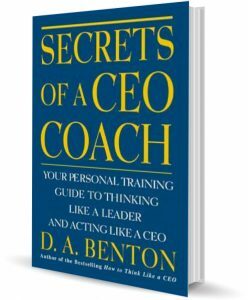 "Benton causes anyone to pause, take stock, and ask: Am I developing all the qualities of character that will allow me to lead and achieve great things." "In a room packed full of people I felt like I was the one in the room she was talking to versus talking to a mass of people. I noticed no one in the audience was looking at their phones or multitasking but were giving her their undivided attention. I felt this was my company's money well spent." "This will have a profound impact on anyone's career." 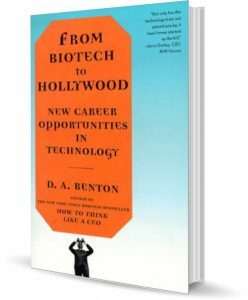 "Benton has pulled together the information we all need to be a success." 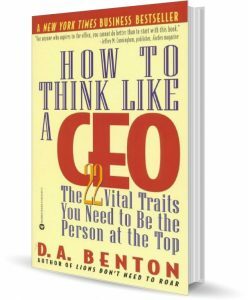 "Debra Benton is the leadership Peter Drucker of the 21st Century." 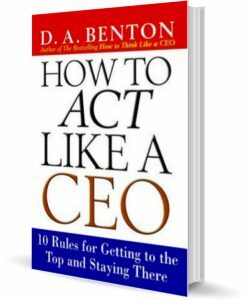 "Most insightful... especially for the young and hungry go-getters who need Benton's advice more than they'll ever know." "Shrewd, thoughtful, and very practical advice." 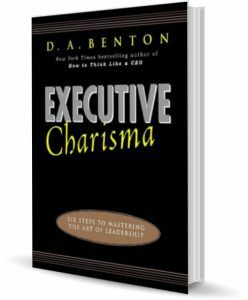 People love receiving Debra's bestselling business books courtesy of the meeting chair. Debra offers a significant discount on books for you to provide to your attendees. Her time with your audience can also include an autograph session at no charge where she will sign any of her books. Ready to bring Debra to your event?